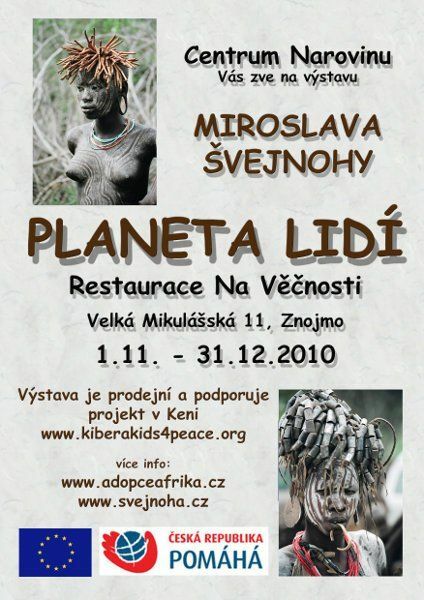 Miroslav Svejnoha, October, 1st – December, 31st, 2011, Restaurant Na Věčnosti, Velká Mikulášská 11, Znojmo Touring exhibition about the life of natural ethnics in Africa. Profit supports the project KiberaKids4Peace. The exhibition is realized under a project financed from EU resources and co-financed by governmental program of foreign development cooperation of CR and EU. EU.